Drivers are risking fines, disqualification or even prison due to lack of knowledge about their responsibilities when supervising learner drivers, new research from the AA reveals. However, an AA/Populus survey* of almost 19,000 AA members reveals that some drivers are breaking the law by drinking, texting, making calls or even falling asleep during practice drives. The AA is aware of at least one who was jailed after the learner he was supervising was involved in a crash killing two people. Nearly a quarter (23%) of those surveyed did not know they would be breaking the law by using their mobile while supervising a learner. One in eight (13%) were unaware of the need to wear glasses if they need these when they themselves drive; while one in ten (9%) did not realise that falling asleep in the passenger seat would risk a run-in with the law. Four per cent of respondents who had supervised learners admitted breaking at least one of these laws - rising to more than one in five (22%) among supervisors aged 21 to 24. The findings come as AA Driving School launches a pioneering scheme that will put parents back in the driving seat with an instructor to help them develop skills for coaching learners. It is designed to ensure practice drives complement and reinforce the syllabus taught to learners in lessons with a professional driving instructor. AA Driving School director Simon Douglas says: "Learners who build on skills they gain in formal lessons by practising with family or friends have a better chance of passing their test and are likely to be safer behind the wheel. Yet drivers often lack confidence or don't know their responsibilities when supervising learners. "Many are passing on bad driving habits or even risking a run-in with the law. By teaming up with parents, AA instructors will help them better grasp their responsibilities and ensure they're giving learners the best possible support." 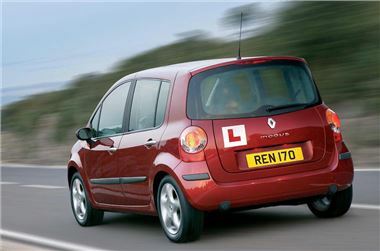 The AA's Supporting Learner Drivers course is aimed at giving parents, or other drivers, the knowledge, skills and confidence to supervise learners on private practice sessions. The course is designed to support and encourage them and to engage them with the process of learning to drive by developing a partnership between themselves, the learner and the driving instructor. The course consists of home study activities, with a workbook, and two one-hour sessions during which the driver will receive in-car training from a fully-qualified instructor from AA Driving School. If the driver prefers, and it is a better fit with their training needs, the in-car training can be changed to one two-hour session. * 50% of AA members have supervised learners - 58% of male drivers; and just 37% of females. Of all UK regions, London drivers (45%) are least likely to have taken learners out; those in Northern Ireland (56%) are most likely. * The AA's Supporting Learner Drivers course will help drivers grasp their responsibilities when supervising learners and develop their coaching skills, by getting them back in a car with a fully-qualified instructor. * AA/Populus survey responded to by 18,732 AA members, carried out 23-28 July 2010.